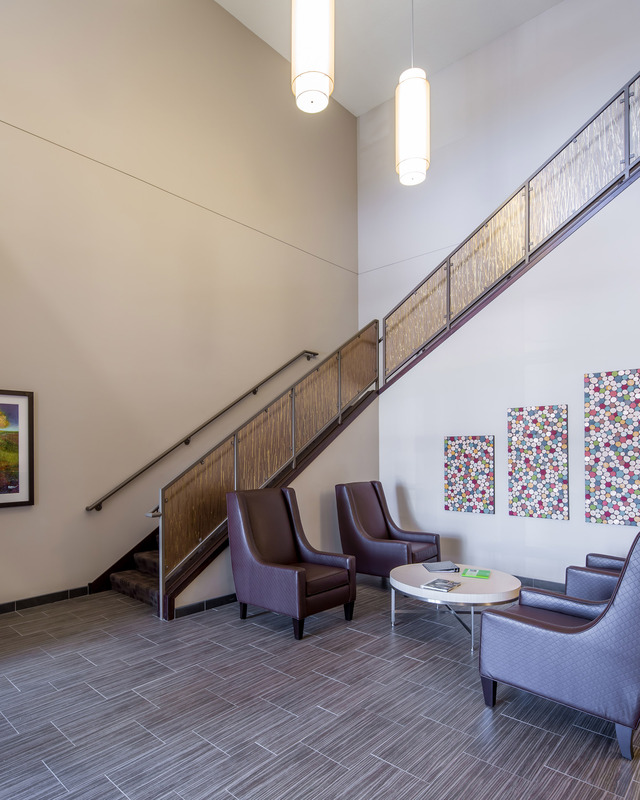 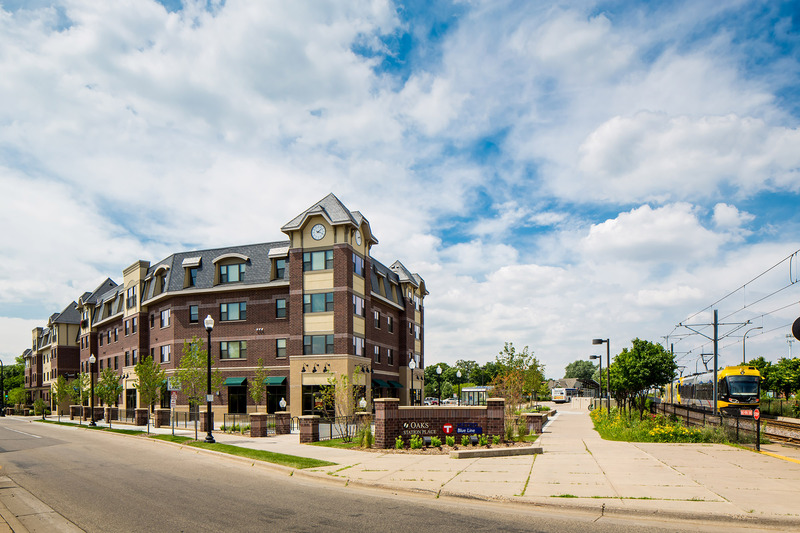 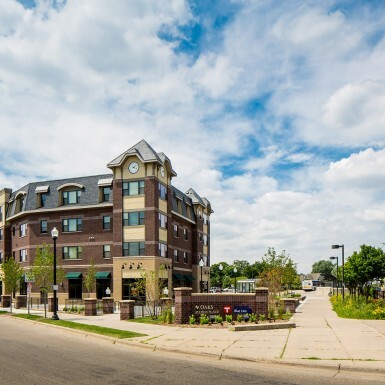 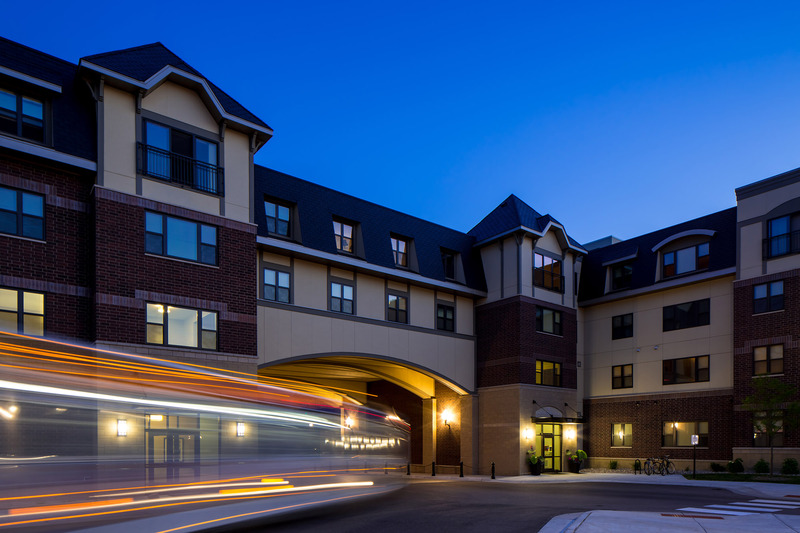 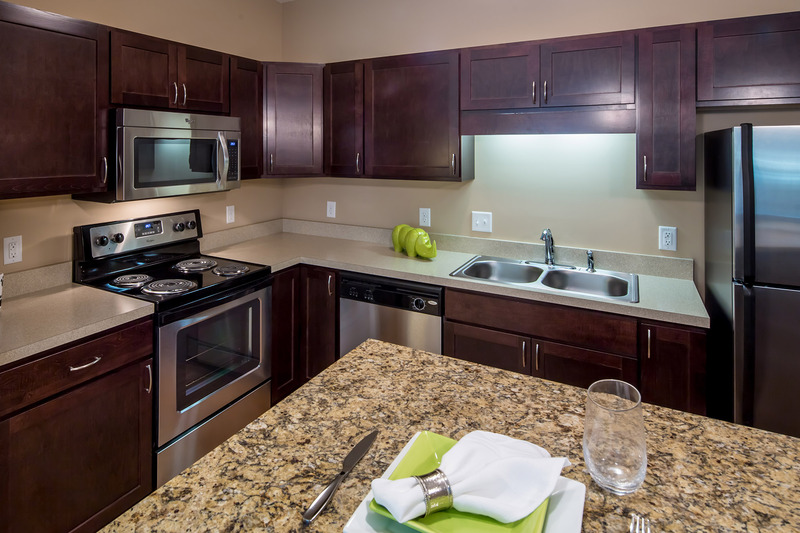 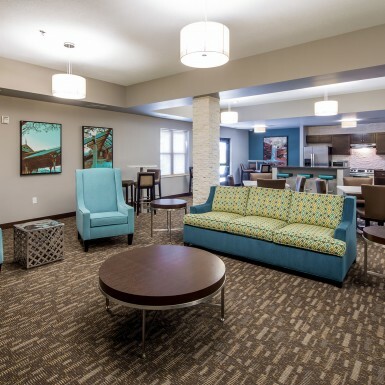 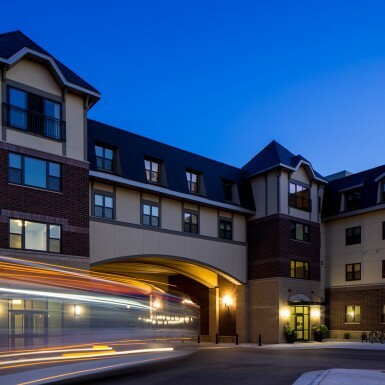 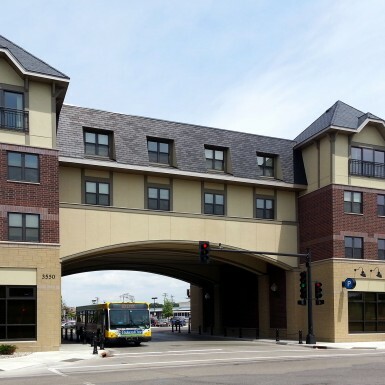 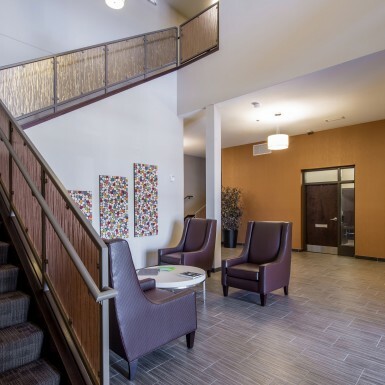 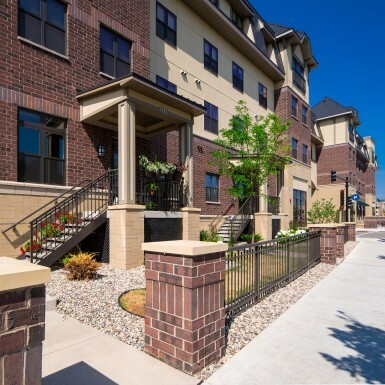 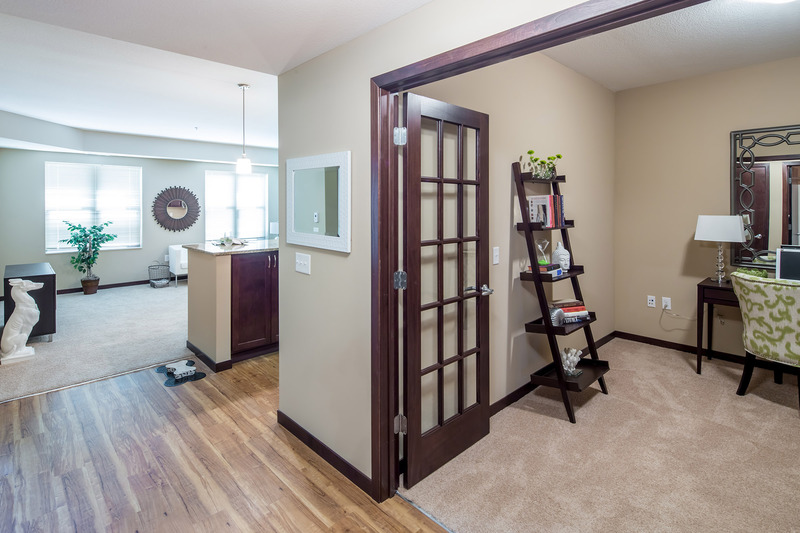 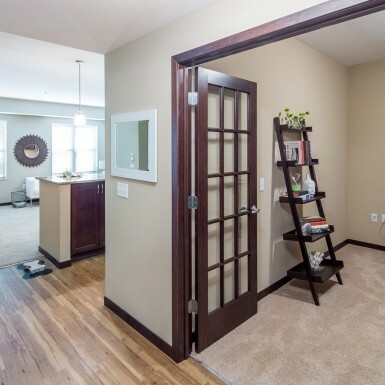 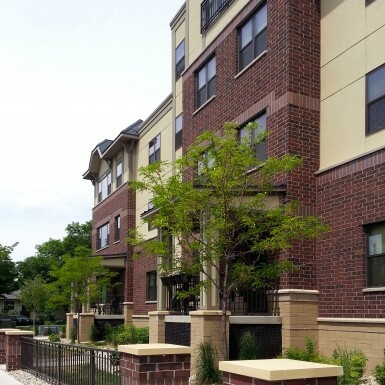 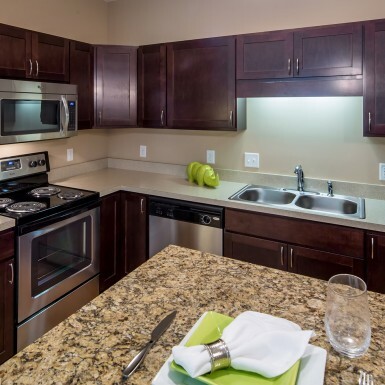 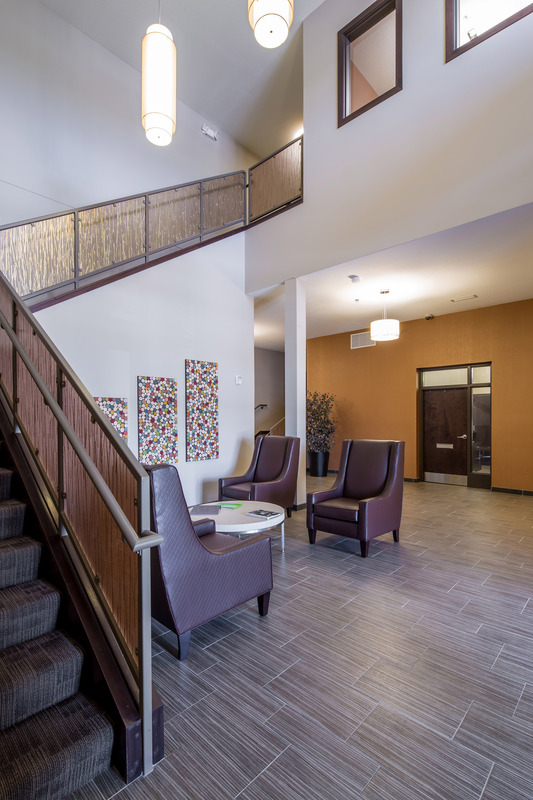 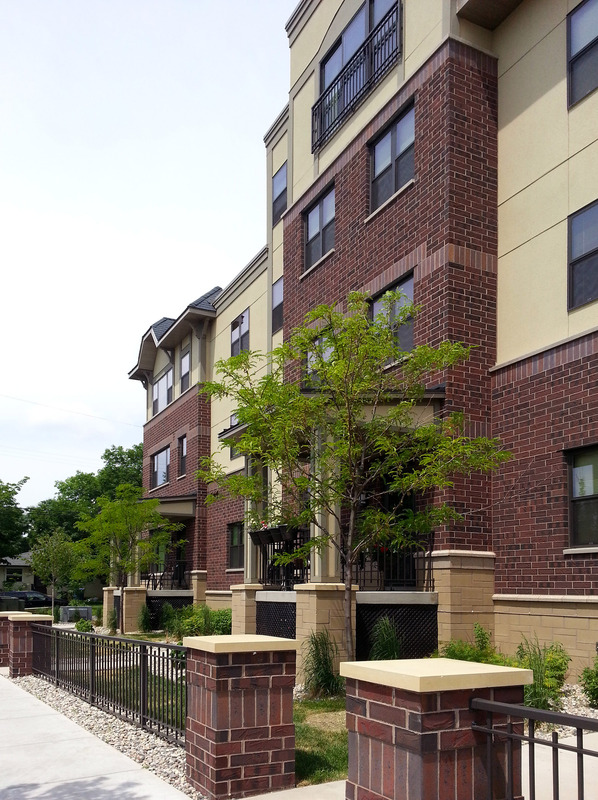 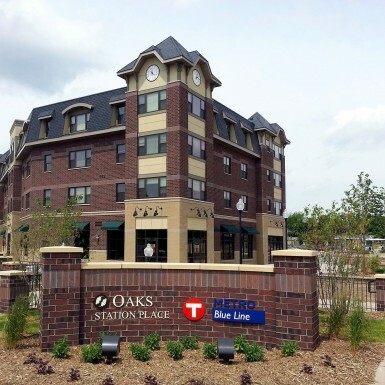 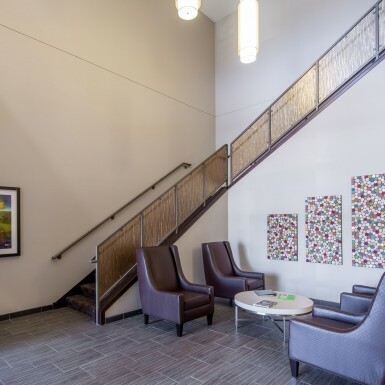 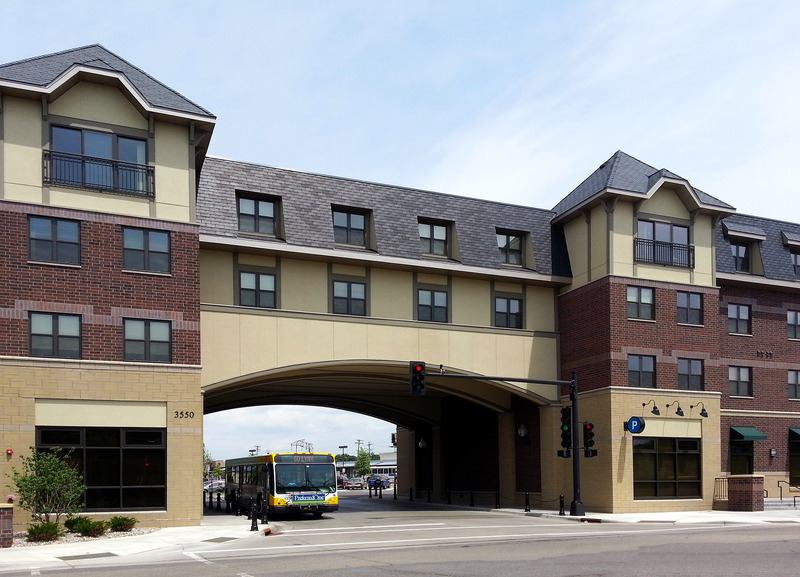 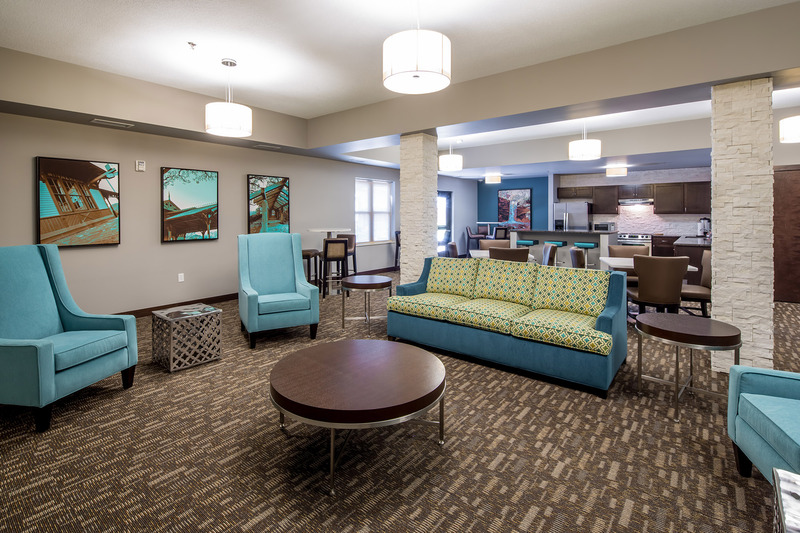 Oaks Station Place, a mixed-use development located at the 46th Street Station on the Hiawatha Line, consists of a single building of 104 rental apartments and approximately 8,500 square feet of first floor retail space. 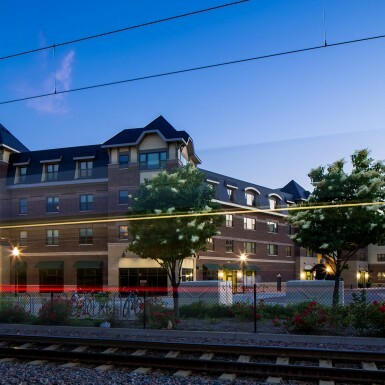 The inspiration for the look and feel of Oaks Station Place comes from Forest Hills Gardens, an iconic transit-oriented community built almost one hundred years ago in Queens, New York, on the Long Island Railroad. 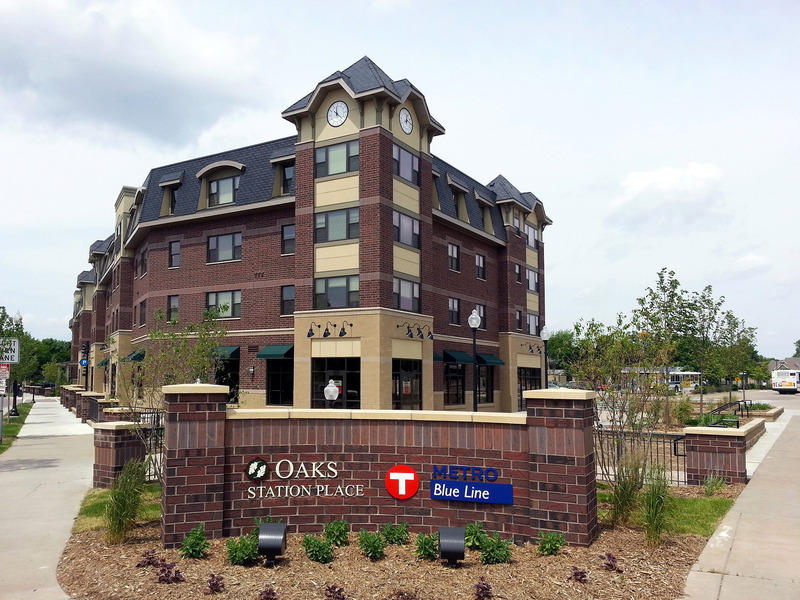 Oaks Station Place is three stories on the end closest to its single-family neighbors and four stories closest to the transit platforms. 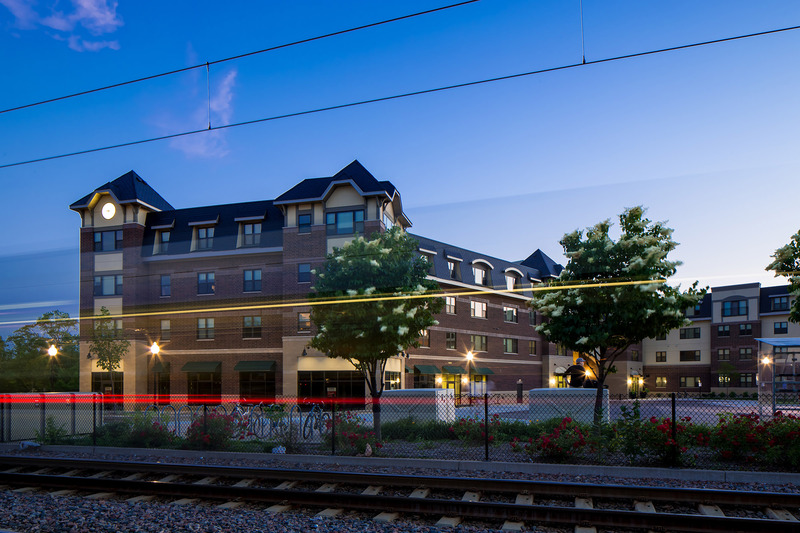 The retail space opens to a wrap-around plaza at trackside, allowing for outdoor dining, neighborhood events, and farmers market activities. The classic architecture, brick exteriors, gable roofs and building skyway evoke the style and grace of an earlier era.